For centuries, we have prepared citizens to work in linear fashion. Identify needed skills, create a training programme or post-secondary curriculums, transfer knowledge to potential workers, and – voilà – a workforce is ready to meet an identified market need. 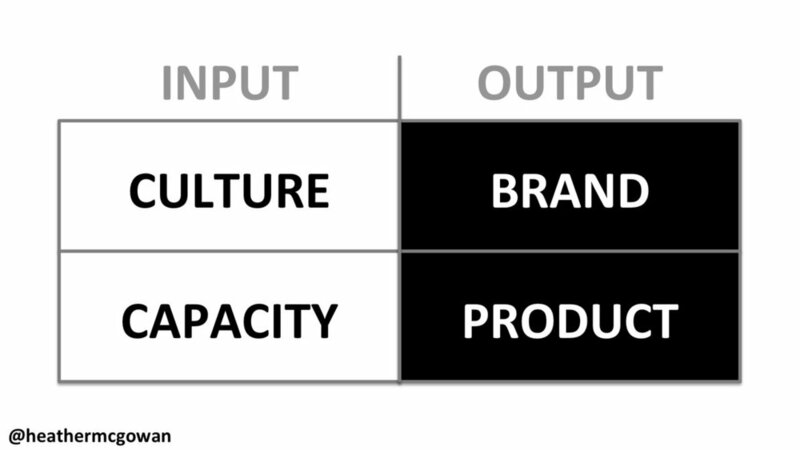 Here’s an alarmingly simple idea that provides clarity in times of turbulence: companies are nothing more than capacity and culture. Period. If you are a young college graduate entering the workforce today, odds are, you’re going to lose your job. Often. We ask each other : “So, WHAT do you do [for a living is implied]? ﻿Few topics spike the ire of American voters like jobs, immigration, and trade, no doubt because the three are inexorably tied together, at least in the rhetoric of politicians who point to immigration and trade as the villains of the American jobs story. NOTE: If you like this article, please read our follow up that covers the impact of rising automation and the future of work: Hard Truth About Lost Jobs; It Is Not About Immigration. This piece is co-authored by Daniel Araya, PhD. 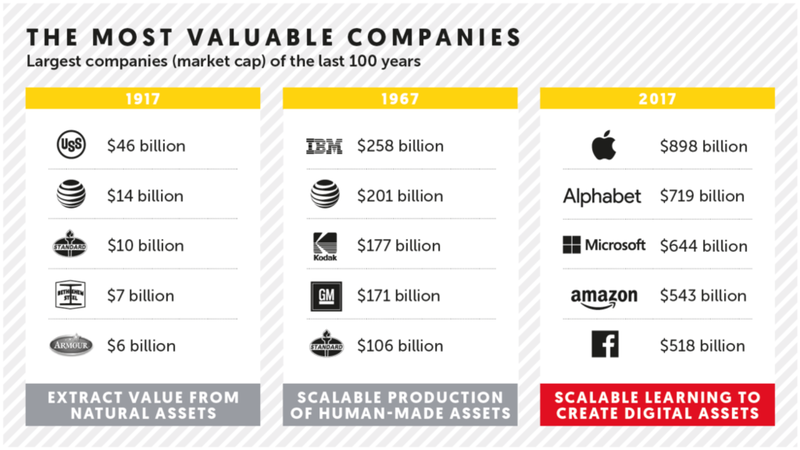 An analysis of the history of technology shows that technological change is exponential…….. we won’t experience 100 years of progress in the 21st century — it will be more like 20,000 years of progress (at today’s rate)[i]. 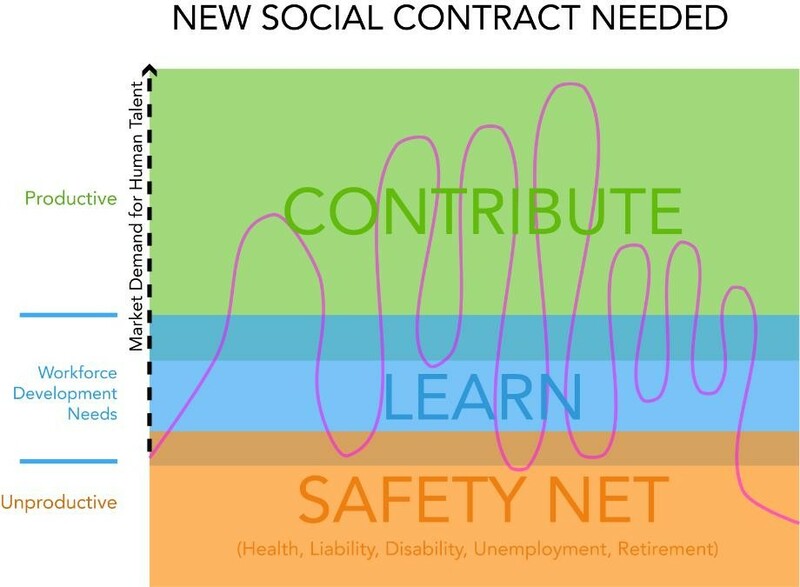 This is part four of a four-part series on the changing shape of employment, the emergence of the collaborative economy, the potential impacts on higher education, and the need for a new social contract. Insights for this piece came in part from the recent Thomas Friedman Next New World Summit of thought leaders in education, technology, entrepreneurship, and consulting. Here are links to Jobs are Over Part 1, Part 2, Part 3, and an interview with Future of Work Researcher Stowe Boyd based upon the series. The era of using education to get a job, to build a pension, to then retire is over. Not only is average is over and the world flat, but this is the end of employment, as we once knew it. The future is one of life-long learning, serial short- term employment engagements, and the creation of a portfolio of passive and active income generation through monetization of excess capacity and marketable talents. In the present and future you will not be hired or engaged because of a position you held or a degree you have but rather because of the value you can create.